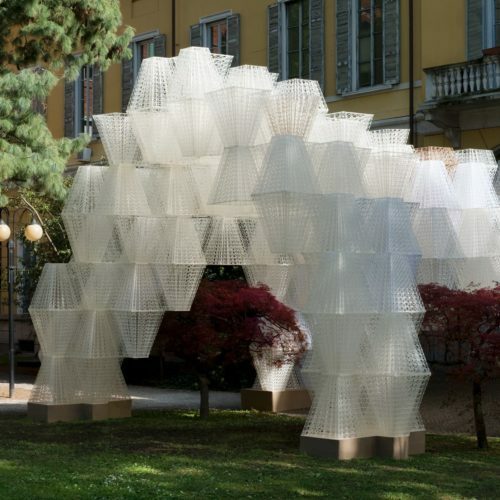 This project will be one of the first and largest 3D printed canopies in the world and will be 3D Printed from Bioplastic (PLA). This is a material made from starch, glycerin and vinegar and is 100% recyclable and biodegradable, simply by being crushed and reprinted. In our practice, we “grow” forms from pre-defined generative rules. We believe this reflects natural processes. To do so, we define the parameters of these rules and let the most appropriate geometry express itself through simulations and prototypes. For the floating boat stand, the parameters driving the growth of our project are visual, acoustic, structural and fabrication led. Our structure’s footprint on the barge is minimal and only rests on two of its corners therefore obscuring neither of the sides. We want the roof to be a feature but not to obstruct the views towards the musicians. We lifted the edges of the structure upwards to reflect the sound played in the barge back to the surrounding. The ripples are design to avoid echos and to scatter and soften the sound. We minimise the amount of structural requirements by increasing curvature, similarly to shells or leaves. 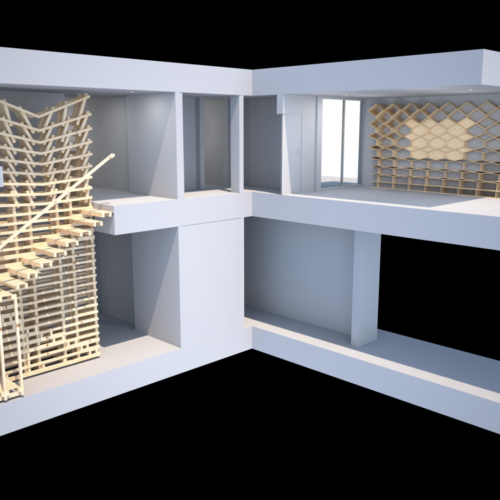 Initial structural simulation has shown that the project can be built using 4mm. We design with fabrication in mind, our studio has a laser cutter and a large scale 3D Printer in-house which means we can design with the constraints in mind which means that we have a high level of control on the assembly and finishes. The 3D printing process is based on depositing material layer by layer in an additive process. 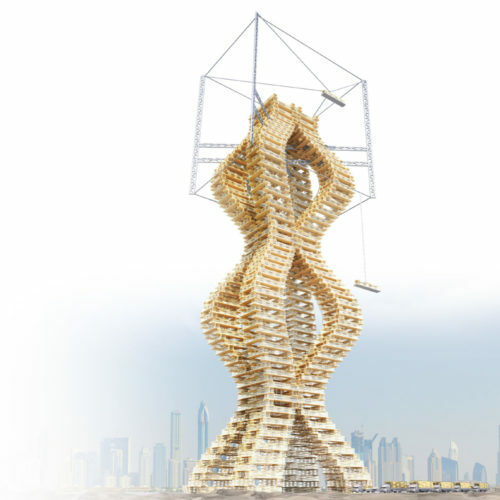 A unique texture will emerge naturally through this fabrication process. Using our own custom software to create the prints means we can design these textures in relation to the structural performance and their overall effect. To develop our canopy, we used an algorithm expending and bending the edge of a surface at a faster rate than its own internal area. This is called “Differential Growth”. The difference in growth and angles forces the surface into curls and ripples similar to that of natural organisms such as some corals, lettuce or flowers, known as “ruffled organisms”.